Liverpool are ready to table a £20million bid for Lyon striker Alexandre Lacazette as they finally look to replace the goal-scoring exploits of Luis Suarez, according to reports in the Metro. The Reds have struggled in front of goal all season following the Uruguayan’s departure to Barcelona last summer and have placed the French striker at the top of their shopping list as Brendan Rodgers prepares for a title push next year. 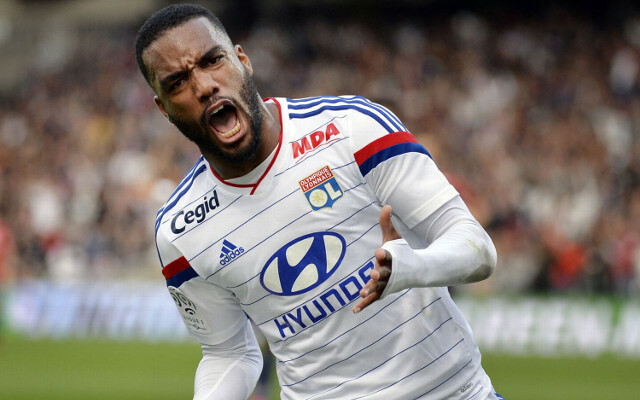 Lacazette has been in superb form in for Lyon this season in Ligue 1 as he has bagged an amazing 27 goals in just 31 league appearances, and has spearheaded the club’s challenge to PSG for the title. It appears that Rodgers is desperate to add more firepower to his side and following the reported snub (via Sky Sports) from Manchester United bound forward Memphis Depay, the Reds manager will be hoping to fend off interest from their rivals and wrap up this transfer deal with little problem.